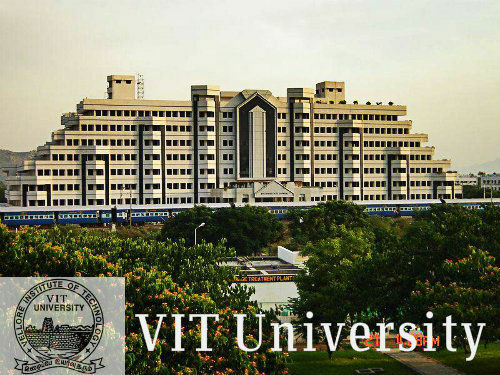 VIT University Vellore :Courses, Campus, Placements and Fee etc. Vellore, a district capital in Tamil Nadu, has long been known for its stately fort and temple, renowned hospital and medical college, Parry’s factories and the vast government industrial estate in nearby Ranipet. Vellore’s history records several dynasties and powers. The Pallavas, Cholas, Pandyas, Hoysalas, Sambhurvarayars, Chalukyas, Vijayanagar, Bijapur Sultans, Mughals, Marathas, French and the British have all ruled the area at one point of time or the other. The twenty or more palaces and forts in the district reflect ancient styles and traditions. The most striking of these is the famous Vellore Fort, built in the 16th Century by Chinna Bommi Nayak of Vijayanagar. The fort was declared a national monument in 1992. Campus:It is an article of faith at VIT to complement the academic component of the university and enhance the overall educational experience of students through a wide range of extra-curricular programmers, facilities, services and activities. These events provide students and other members of the university exposure to a variety of social, cultural, intellectual, recreational opportunities and challenges.Such experiences enrich the lives of students and help them fulfill their potential. An exclusive office headed by a Students’ Welfare Officer plans and executes these activities.Co-curricular and extracurricular activities are planned and executed through a number of associations, clubs, societies and students’ chapters of professional bodies. They are owned and managed by representatives of students and are monitored by the faculty in-charge. Hostel:17 hostels are located in VIT campus. There are Thirteen Men’s Hostels, which accommodate 7000 students in single, two and three bedded, four bedded and six bedded rooms. A gym facility is also attached with well maintained swimming pool.The Four Woman’s Hostels have room for 3200 students. Women students have access to gym facilities and a newly built swimming pool inside one of these hostel premises. Individual metering service for those who want air-conditioning facilities is also provided. Optional washing services are provided in well maintained separate washing areas. Events Details : VIT University has celebrated its silver anniversary in the year 2009, marking 25 years since our inception. It is with immense pleasure, that we announce “RIVIERA ’10 An International Sports and Cultural Fest” to be held between 30th January to 2nd February 2010 at our campus. For this International Meet, we expect over 4000 students from over 200 colleges across the globe to participate in addition to our own students who are 15,000 in number.